The day is finally here – Land of Lemurs is officially open! After years of planning, over a year of construction and zoo-wide teamwork, the immersive walkthrough habitat is ready for visitors. 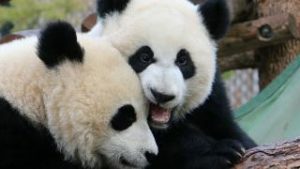 It is the first habitat of its kind in Canada, an accomplishment of which we are truly proud. But who exactly will you see when you visit? Meet our lemur species! We have three species of lemurs residing here at the Calgary Zoo. In the wild, lemurs are native to the African island of Madagascar, and are specifically adapted to this forested environment, living predominately high up in the trees. There are over 100 species of wild lemur (that scientists know of). Which lemurs can you visit here in the city? The black-and-white ruffed lemur has a loud and distinctive call. This might just be the most exciting black-and-white mammal here at the zoo – sorry zebras! Known for their distinctive dual-toned coats, their fur is longer than their Calgary lemur friends. They are not quiet animals; their shriek can be heard from a distance, and makes them the most vocal species in the habitat. Don’t be startled when you hear it, because that’s just this species having a chat. We are home to two individuals, Sava and Menabe. Black-and-white ruffed are critically endangered, and the zoo will be participating in their Species Survival Plan breeding program to help in the efforts to conserve this beautiful primate. Leapin’ lemurs! Make sure to keep any eye out for lemurs in the trees around you. Just look at that tail! This distinctive stripe reminds many people of the movie Madagascar. The character of King Julian was a ring-tailed lemur who liked to ‘move it’ – but Julian should’ve been a Queen Julia! Ring-tailed lemurs are matriarchal, which means that ladies are in charge. The zoo is now home to seven ladies, named Celeste, Saboo, Bonnie, Sophie, Hannah, Shelly and Joanne. When you visit Land of Lemurs, you might notice them walking in a group with their tails in the air. Using them like flags, this is a behavior that allows the lemurs to keep together while they travel. This species is currently endangered. The zoo’s newest red-haired beauties, we are home to four of these social primates. This family group includes father Red Baron, mother Radish, and their children Rhubarb and Dora. 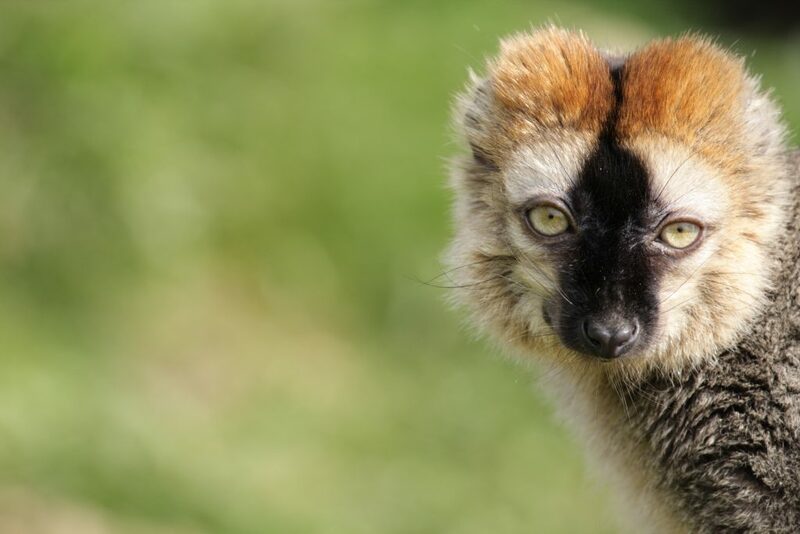 The least endangered of the three species, red fronted lemurs are considered near threatened. They still experience habitat loss similar to our other two species- their homes are often lost to ‘slash and burn’ agriculture and logging. This little family are a bit sweet- or at least their food is! The red-fronted predominately eat fruits, and you can often catch them chatting as they move about- they communicate with little grunts that can sounds a little like pigs to the human ear. This is one of the only lemur species that isn’t female dominant. As you can see, there is a lot of variety in the lemur world- even between the species here at the Calgary Zoo! Want to visit these three species? Land of lemurs is officially open! 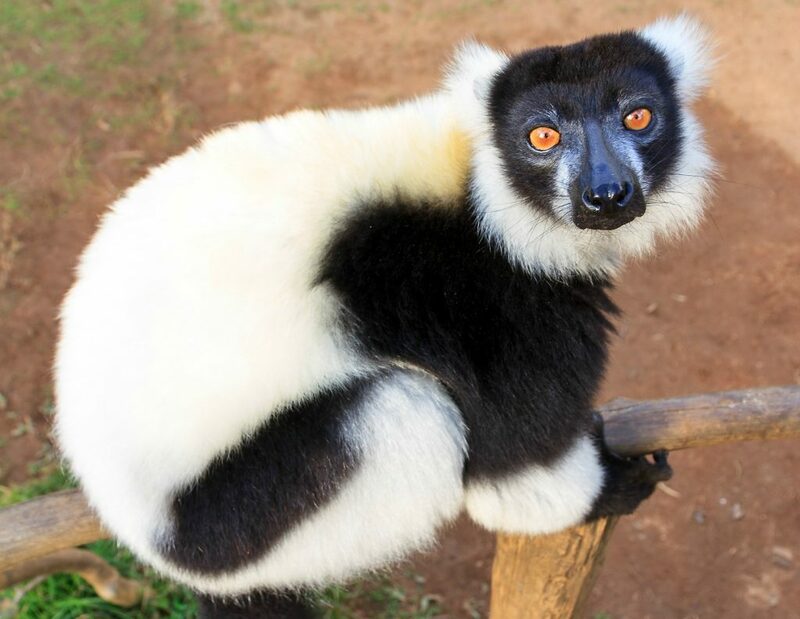 Land of Lemurs opened to zoo visitors on July 5, 2017 in Destination Africa. Thank you for supporting wildlife conversation and the launch of Land of Lemurs. 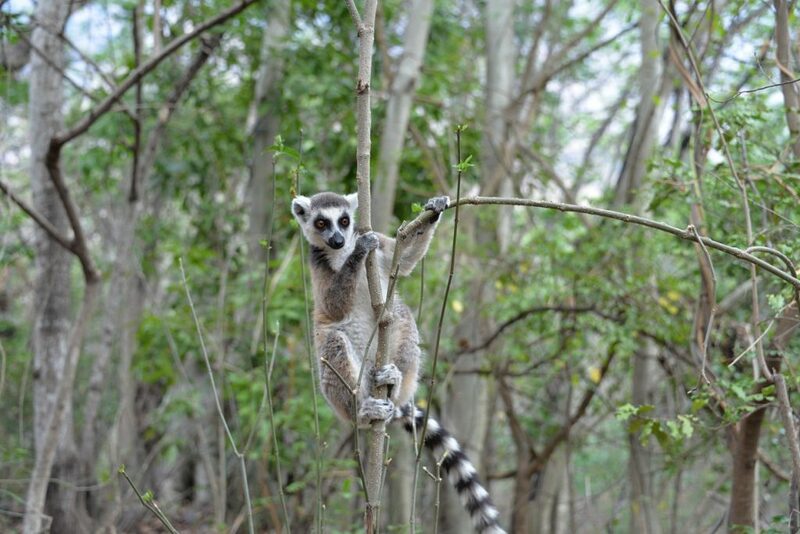 People and lemurs in Madagascar depend on forests for their livelihoods. We all play a part in helping protect and care for forests around the world.